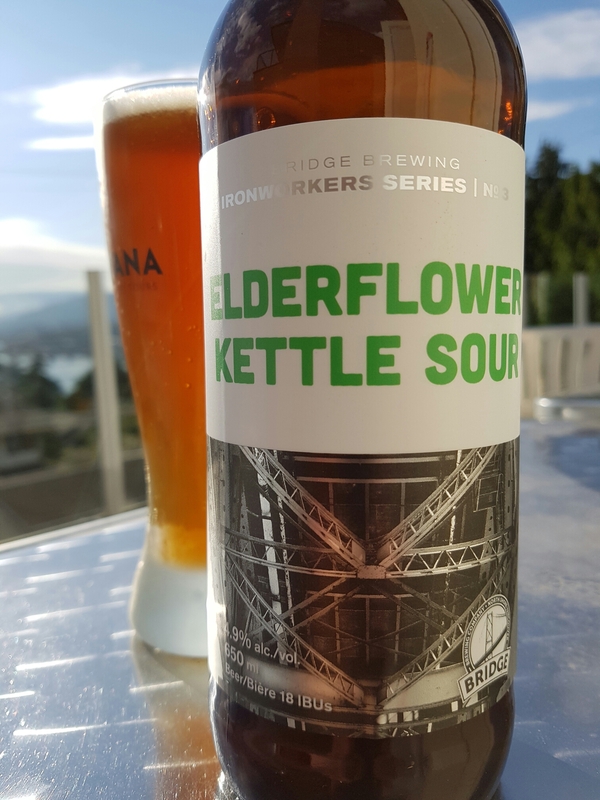 Elderflower Kettle Sour – Bridge Brewing Co. (North Vancouver, BC, Canada) | Justintoxicated. Visual: Pours translucent brown amber with a small dissipating 2mm head, thin layer of micro retention, clusters of fast active tiny streams. 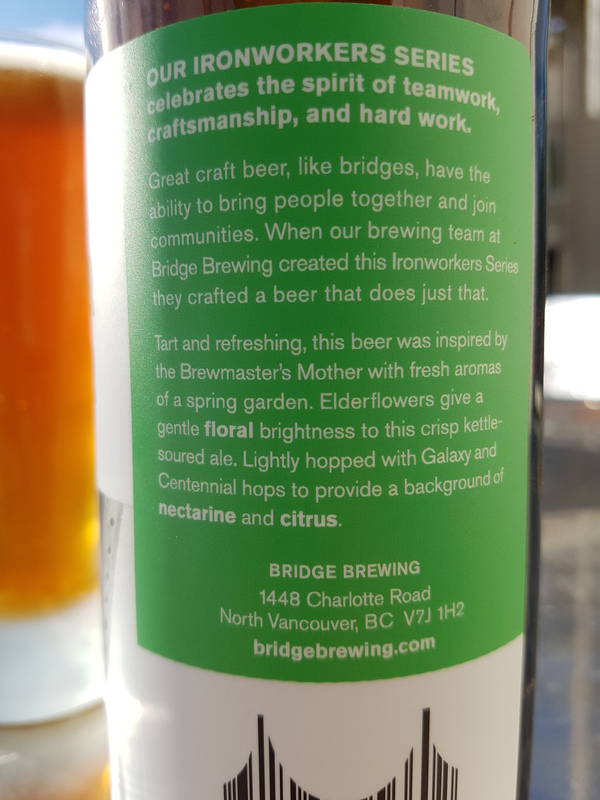 Finish: toasty, nectarine exhale, lingering hop gentle bitter, grainy barley malt. Summary: Big yet mostly controlled sourness with a dehydrated elderflower taste. Decent complexity but nothing that makes it epic.